Windows 10 has been released to great reception, and has been installed in over 75 million PCs in the first month. Now that Windows Phone OS market share has dipped to 3.0% market share, the newest iteration of Windows 10 Phone is very important to the OS livelihood and the new hardware should make an impact. We have a peek look at the upcoming devices courtesy of @evleaks, dubbed Cityman and Talkman. 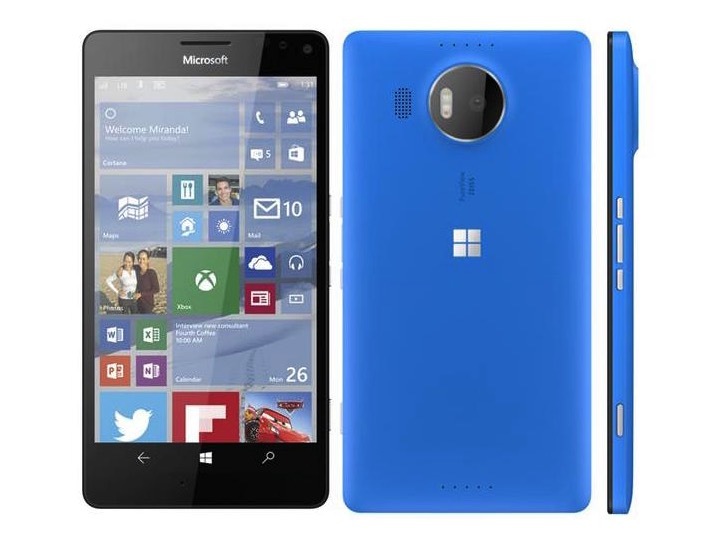 Codename Cityman (blue) will likely be called Lumia 950 XL, the 5.7″ inch phone will be the larger, higher-end version of the two, packing a 20MP PureView rear camera, a 5MP front camera with a possible front facing flash. On board 32GB of storage with microSD expandable support. Talkman is the smaller of the two (possible called Lumia 950), with a 5.2 inch display with the same resolution, and a smaller 3,000 mAh battery (compared to 3,300 with the Cityman). One thing I loved about the Windows Phone was the dedicated camera button and the newest devices looks to keep this great feature. Are you excited for Windows 10 Mobile? Have you downloaded Windows 10 on your PC? Tweet us @AsianGeekSquad. Windows Phone Market Share Is Less Than One Percent! POLLS: How much would you pay for a Lumia 950 or 950 XL?